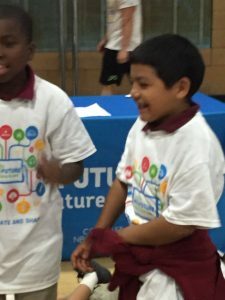 BGCA My.Future inspires kids & teens! 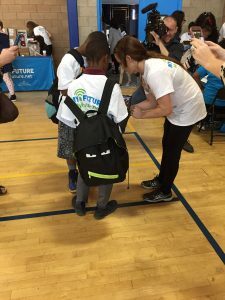 You are here: Home / SoCal City Kids News / BGCA My.Future inspires kids & teens! Self Disclosure: This post was sponsored by Boys and Girls Club as part of an Influencer Activation for Influence Central and all opinions expressed in my post are my own. I had the opportunity to attend a really inspiring and educational event this past month! I was blown away as I watched the staff and the kids at The BGCA My.Future event. I would love to attend more of these events because it was great to see the kids and teens having so much fun! I was also really impressed to see how the staff interacted with the kids and teens. The Boys & Girls Club is a great place for both teens & kids. I had previously thought that it was just for younger kids but it really isn’t! It’s a great place for teens too! Kids of all ages have fun, make friends, learn teamwork and receive great care! The staff really seemed excited to be working with the kids and it was wonderful seeing the smiles on the kids’ faces! They now also get to connect and play online with a new social platform called My.Future. What is really cool is that it is safe and fun for kids and teens. 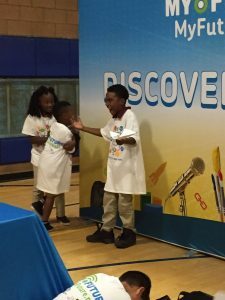 The mobile-friendly social platform provides access to 125 BGCA program activities in areas such as STEM, Visual Arts, and Leadership. Kids & Teens (with the help of staff) learned how to create stories, make videos, write songs and more during this recent event and it was an amazing thing to see! I really enjoyed watching the kids make videos. Kids and Teens can also connect and share with their friends socially and in a safe way. Boys & Girls Clubs of America & Comcast NBCUniversal are doing a great job preparing teens & kids for #GreatFutures. This was such an inspiration and I had a great time observing this event! Photo Credit: SoCal City Kids. Photos were taken with consent.